Originally posted January 31, 2012, here with minor edits. Some background is in order. Follow the link below about the Soup Contest. Also know that we’d gotten Missy only a few months before and she was a horrible puppy. Rocky tried so hard to teach her but she just wouldn’t learn! 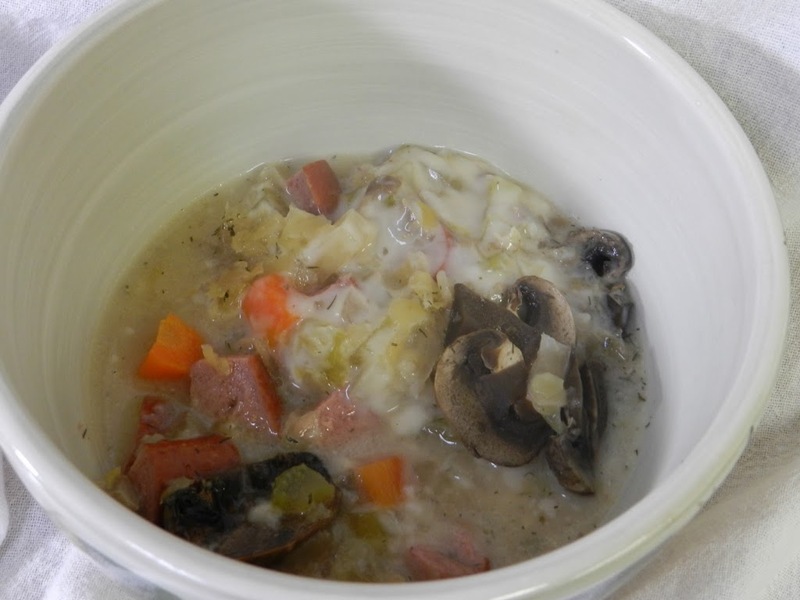 Here is the recipe for Sausage Sauerkraut Soup in a Slow Cooker. 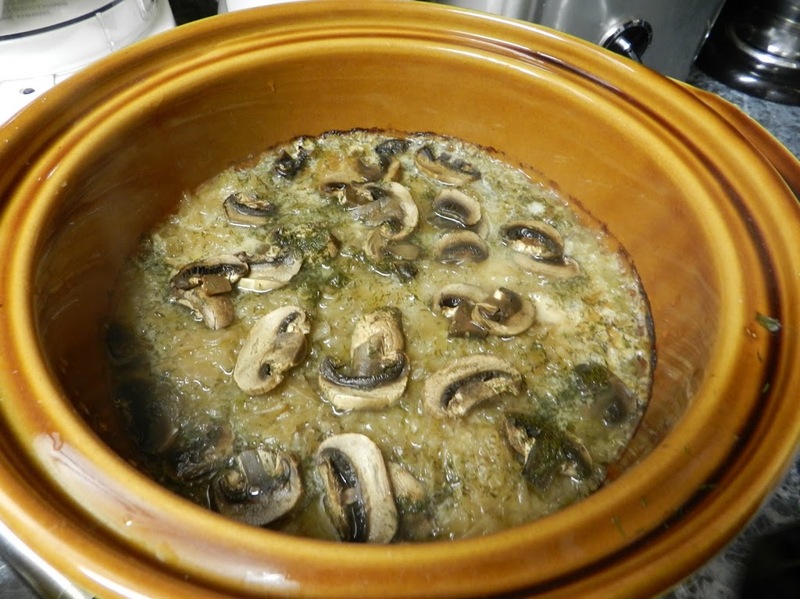 Sausage Sauerkraut Soup in a Slow Cooker! The thing about the soup is the layers. There are a lot of things in this soup. Turkey sausage, potatoes, onions– I think, mushrooms, carrots, some turkey stock. Sauerkraut. Dill. They are layered in a particular order. The recipe, Mr. Big Food tells me, says just that: Layer them this way. I can see why. Unlike a stew, which is all mixed up and therefore uniform, this dish is stratified. So when you, as Mr. Big Food often says, “Dig up from the bottom,” and you are presented with the proper tool to do just that, you will have yourself a bowl of the Soup Contest winner!